NIRF 2016 ranked institutions in four broad categories, namely, Universities, Engineering, Management and Pharmacy. 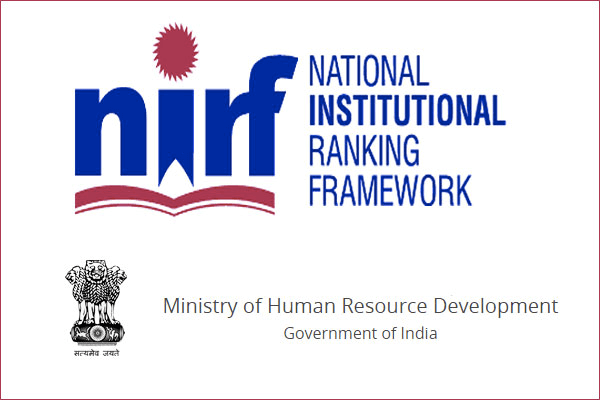 NIRF 2017 ranked institutions in six broad categories, adding Colleges as an independent category and also introducing an Overall ranking amongst all five categories. NIRF 2018 expanded to include more institutions with three more categories to cover Medicine, Architecture, and Law. The ranking methodology draws from the overall recommendations broad understanding arrived at by a Core Committee set up by MHRD, to identify the broad parameters for ranking various universities and institutions. Miranda House has participated in NIRF since 2017 when Colleges were added as a category within the framework. It has the unique privilege of being awarded All India Rank One amongst Colleges under both, NIRF 2017 and NIRF 2018. Click here for details (https://www.nirfindia.org/Home).